You should have come to me from Debbi Fournier's blog. This blog hop is a circle of sixteen Close To My Heart consultants that I am sure will inspire you to create your own handcrafted holiday! You can jump from blog to blog but should you get lost along the way, you can find the complete list HERE. I wanted to create a piece of home decor for the top of our stairs. I love the Close To My Heart display trays, so I used one of those along with some Sparkle & Shine paper. I love all the photos of my kiddo from past Christmases, but these are three of my favorites. It was so fun to create this tray and relive the memories from those years! I've used several fun embellishments that can be found on my website - Sparkle & Shine Dimensional Elements; Sparkle & Shine Assortment; Sparkle Clear Flourishes; Trim the Tree stamp set; Sparkle Holiday Shapes; Ruby Mini Medleys; Base & Bling Red Jewels; Base & Bling Floral Accents. 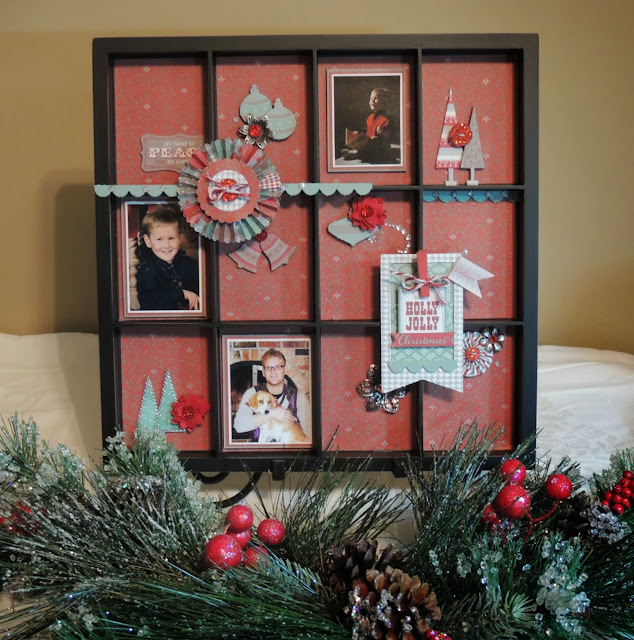 There are just so many ways to handcraft a holiday, and you will find many ideas along the way. Now it's time to head over to Melissa Laverty's blog to see what she has created! A beautiful tray so wonderfully adorned and also a great gift idea. Beautiful, my ctmh momma! You always do such great work! Thanks for the inspiration! Love ya! So beautiful...but so is everything you create. You have a flair and personal style. I could probably pick your artwork out of a whole group and know it was yours. Pretty. I love the mix of all the different embellishments. I love it Brenda! You artwork is always amazing!!! Thank you so much for sharing !